One of the best ways to learn is through podcasts but with so much choice how do you find what’s shows are the best to listen too? I have battled with this question for a long time and the day that battle ended was when I discovered The Tim Ferriss Podcast. I first came across Tim Ferriss when I read his book the 4 Hour Work Week. To be honest, the book had some great strategies in it, and while I took a lot of solid information away from it, I didn’t quite connect with the message of the book. I later discovered Tim’s podcast, and that’s when using me NET time (no extra time) I fell in love with what Tim is all about. Before discovering Tim on iTunes I never really connected with a podcast which is why I didn’t listen to any previously. Tim Ferris changed the game for me, and he has had a significant impact on my life, and he probably doesn’t know it which is the coolest part. I think secretly a lot of people wish they could have the kind of new age, athletic, human guinea pig ability that Tim displays – I know I do…haha. From here on in, if you only listen to one podcast for the rest of your life I want it to be Tim’s. The guy is a genius on so many levels, and he will help you to 10X your life and productivity. He will give you the strategies that you just can’t find anywhere else (I’m not saying all of this because we share the same name it’s absolutely 100% true). Many podcasts interview fairly predictable people or people that you have just never heard of and probably don’t want to discover. Tim blows my mind with just how broad and varied his interviewees are. They range from world-class chefs, entrepreneurs, coaches, marines, chess champions, sports people, and health experts. Tim never tries to interview people based on ratings or anything shallow of that nature. He tries to find experts that he not only admires but who can genuinely teach the audience something that they don’t already know. I use Tim’s podcast to discover new people that I wasn’t previously aware of which has allowed me to learn about niches I didn’t even know existed. The advantage of a podcast that features so many varied interviewees’ is that the strategies you learn are very unpredictable. What I love is that I have learned tools and tricks from areas like chess and the military that I am not even interested in. A show that can make me care about a hobby I have no interest in, and teach me strategies I can use in my own life, is truly amazing when you think about it. If you listen to the podcast, I believe you will have a similar experience. As Tim deconstructs an expert each week, he looks for strategies that he can use in his own life. Even through all of his success as a blogger and author, he has a mindset of always wanting to learn more. The advantage with Tim compared to other podcast interviewers is that he genuinely cares about the quality of what he s doing. He’s not doing it for the money; instead he does it to give in to his own curiosity as to what he might discover. He’s almost like an archaeologist searching for hidden dinosaur fossils. A lot of the content that is available through Tim’s podcast is highly focused on what it takes to be successful, and there are many themes such as time management, habits, learning a new skill, how to guides, and stories of success. You can tell that each week Tim spends a lot of time preparing for his interviews and trying to extract the hidden gems out of his guests that the audience may never have heard before. For instance, in one episode he interviews Arnold Schwarzenegger, who I have heard being interviewed many times. In this interview, he touches on topics that I haven’t ever heard Arnold talk about. It’s almost as if Tim knows the questions that the audience is wanting to have answered and he asks them. The way he is able to do this is that his approach is highly credible, and he is vulnerable in front of his guests first. He will typically share an intensely personal experience or limitation that he has so that the guest feels comfortable to do the same. I haven’t seen an interviewer take such a drastic approach like this before and be as vulnerable as Tim, but it works well. Often in interviews, there are lots of subjects that are covered, but most of them don’t go very deep. I also find that interviews can be too focused on the promotion of the guest rather than the stories and the advice that the guests can deliver. Tim is relentless with his questions, and he will ask the same question in three different ways if he has to in order to get the nuggets of gold. He allows the interviewee only to self-promote at the end which keeps the podcast focused on delivering value to the listeners. A lot of podcast interviews can make the listener feel uneasy because you get the feeling that the interview is timed. With Tim Ferriss’s interviews, you don’t get that feeling. He will go for thirty minutes or three hours if he has to – time is not a consideration. The way Tim get’s away with this is back to his credibility. People respect what Tim does, and he treats his podcast as an art form, and his interviewee’s as the canvas. You never know with a Tim Ferriss podcast what is going to happen. The intro could be a blooper or the sound of Tim’s mouth making some awkward noise. The location could be in a sauna or at the airport. Everything is open-ended, and there are no rules. This spontaneity creates something that can’t be replicated. It allows the audience to go on a journey and not necessary know where they will end up. When interviews follow a format, they can become very dull which makes it hard to extract the key ideas and themes. All of us hate advertising and when we know someone is being paid to say something. The only exception I have ever seen to this rule is Tim’s podcast advertising. It’s the one bit of advertising I listen to consistently. Here’s why: Tim will only promote something that he has used and believes to be a good product or service. He doesn’t advertise so much for the money; instead, he is focused on introducing his audiences to things they must try. If he doesn’t love the company that’s advertising, then he won’t promote them no matter what they offer him. So far, all of what he has recommended has checked out from my personal experience or from the research I have done. I even love the fact that if he has a financial interest in a company (he seems to have invested in lots of companies – smart decision) or he get’s paid an affiliate fee, he always discloses it. He knows that people trust his recommendation and will use his promotional offers and affiliate links because of this. Tim has worked out as I have, that trust with your audience is everything and will make you more money than you could ever dream of. The show is not that well known in my opinion, yet the interview was highly entertaining. I find it difficult to be laughing out loud constantly, but this episode delivered exactly that and the people I was sitting next to on the way to work thought I was slightly nuts! There’s something about an interview style that doesn’t try to be too cool for school and is strongly content focused. When you consume content in a happy and entertained state, it goes deeper and is embedded much further into your mind. There is something to be said for someone who is well spoken without having a silver spoon jammed down their mouth and an ugly sense of arrogance. Tim is neither of those two things, but he is however very well spoken. 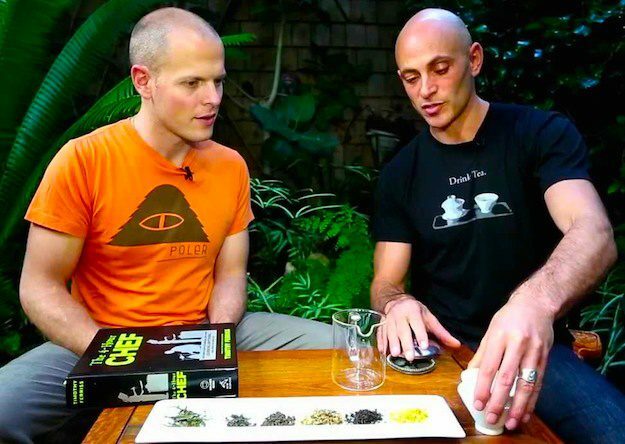 Tim Ferriss Podcast Tips And TricksHe puts thought into what he says, and he uses a range of different words to get his point across. Sometimes he uses a few too many big words for my liking although what I love is that he then translates these words into basic English for those like me who may not have his extended vocabulary. His voice is definitely part of what captivates his audience, and it makes squeezing every ounce of juice out of his strategies so much easier. We’ve all had the displeasure of listening to perfectly good strategies from someone who doesn’t speak well, and this situation makes it near impossible to keep focused on the podcasts message – thankfully Tim doesn’t have this issue. Adding to the fact that Tim is well spoken, he is also well educated and shares some special podcasts with readings from histories former greats such as Seneca and Marcus Aurelius. This adds another level of sophistication to what Tim does and a selection of strategies from long ago. I have said Tim’s name a lot in this article which sometimes feels like I am talking to myself…weird. Maybe it’s because I would like to be a successful blogger and author like Tim? Yes that’s partly it, and I am happy to admit that, but the real reason is that I am learning some mind-blowing strategies from his podcast. Listening to podcasts is one of those habits that successful entrepreneurs regularly do. It gives you a different perspective on your challenges and for content producers like me, it helps open my eyes to just how many cool people there are out there whom I probably have never heard of. It goes without saying that any time you spend in the car driving is an excellent opportunity to pull out your favorite podcast. Rather than get upset at the traffic, be thankful that your journey is delayed because it will hopefully mean you get more wisdom from podcasts such as Tim’s. Lastly, the best podcast Tim has done to date, in my opinion, is the one with Derek Sivers. Make sure you check it out. What’s your favourite podcast? Let me know in the comments section below. 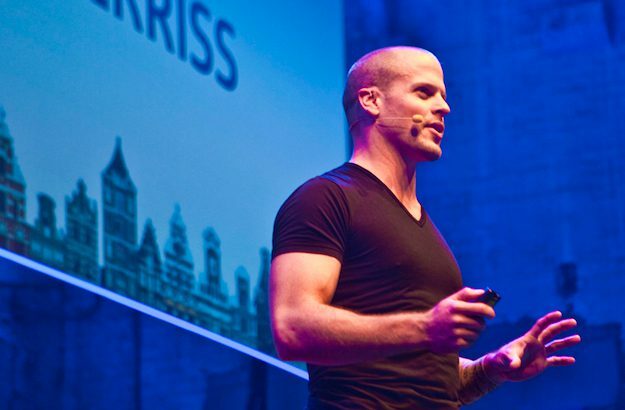 Check out The Tim Ferriss Show Podcast over at his blog The Four Hour Workweek.